Congee is a popular dish in my household. 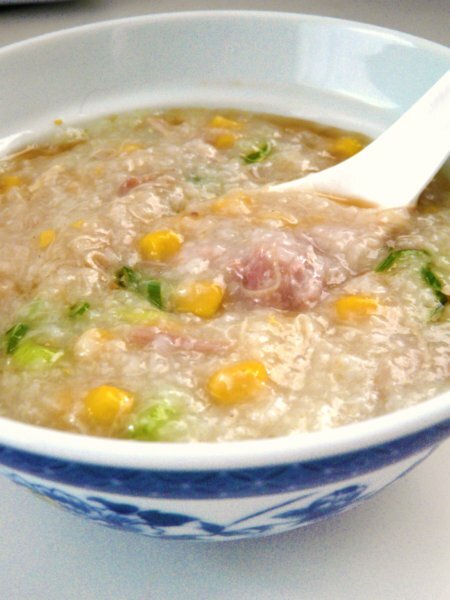 We love congee at any time of the day be it plain congee eaten in place of rice and accompanied by a few Asian dishes, or congee that's been flavored with meat and vegetables. If you're not familiar with congee, it is basically rice that's been boiled down with water to yield a thick and creamy consistency. My Cantonese maternal grandma would call it 'jook' and my Hokkien paternal grandma would call it 'moy'. Besides being a popular breakfast food in many Asian cultures, it's also commonly fed to babies and toddlers. I practically grew up on this stuff. Congee is such a comfort food too. 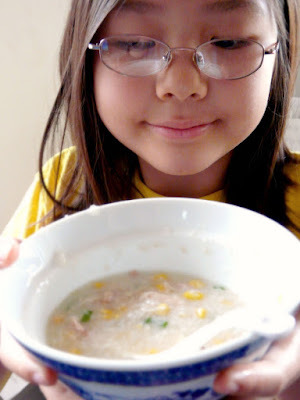 When someone in my family is sick, congee is often eaten because it is soothing and easy to digest. A Taiwanese colleague of mine introduced me to corn and chicken congee many years ago. Before that, I had never thought of using corn as an ingredient in congee but after trying it, I can see why it's a good combination. Its sweetness and crunchy texture goes so well with the chicken and the creaminess of the boiled down rice. 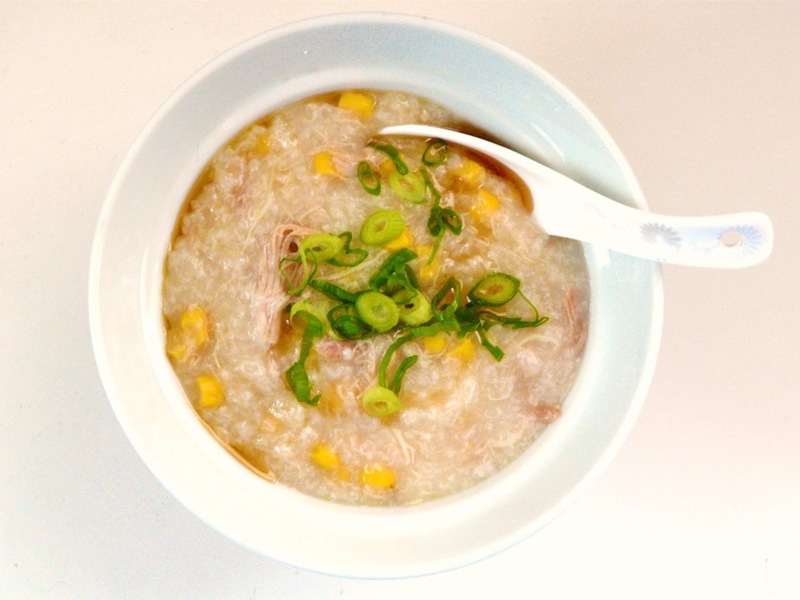 This is now our favorite congee recipe. What's best about this dish is the ease of preparation because I use my handy slow cooker to make it. Before going to bed, I put everything in the slow cooker and wake up to a hearty and healthy breakfast in the morning. 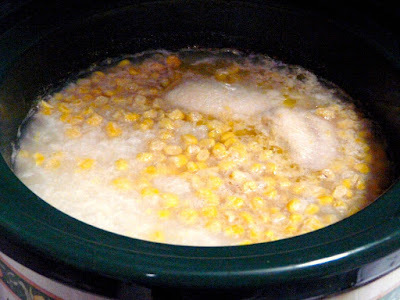 If you don't have a slow cooker, you can also make this on the stove top. Follow the recipe below and slow simmer everything in a pot (covered) on very low heat for about an hour and a half to two hours. With the stove top method, you may need to add more water, depending on how low your heat setting can go. If your lowest heat setting is too high, the water will evaporate faster so just be prepared to add more as you go along. When the rice has broken down almost completely and the mixture is thickened, it's about ready. Oh, and remember to stir the congee occasionally during the cooking process so the bottom doesn't burn. Place the chicken leg, corn, rice and water in the crock pot. Cook on the low setting for 8 hours. After 8 hours, give the congee a good stir to mix everything. By then, the chicken will be so soft and tender, it'll just fall apart when you try and move it. 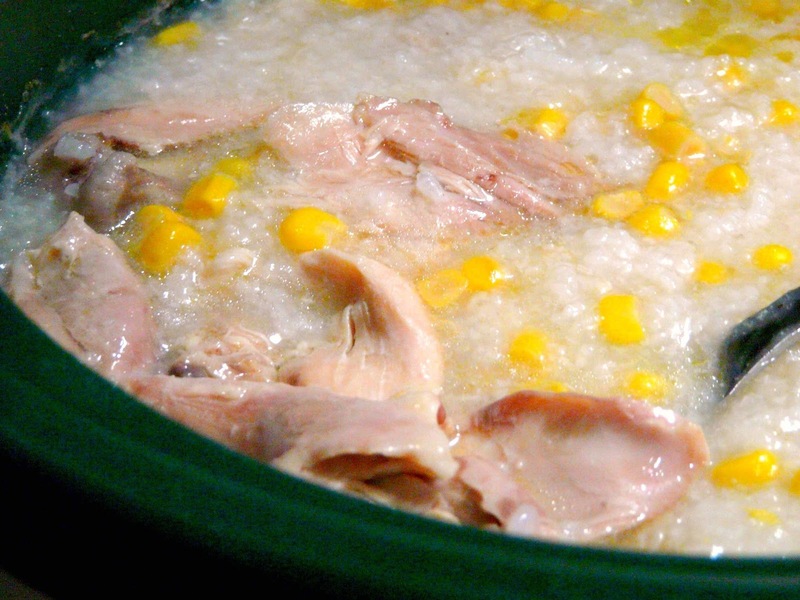 Simply remove the bones and cartilage and shred the meat in the crockpot. Add salt to taste. Serve the congee in bowls and top with the chopped green onion, a drizzle of sesame oil and a dash of white pepper. 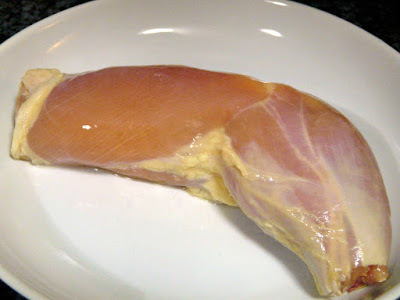 skinless chicken thighs or drumsticks. slow cooker has served me well over the years. After 8 hours, this is what it looks like. Your whole house will smell delicious too! disintegrates? It's become super soft and tender. Mix all the toppings together and dig in! My daughter loves congee, especially this one. This is her expression when she caught a whiff of it. Corn in congee is surprisingly good! Give it a try! 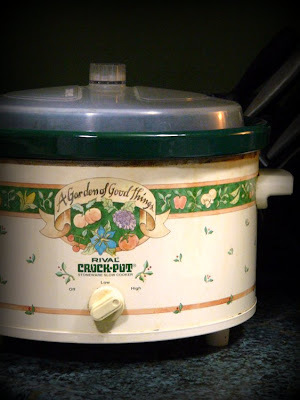 This recipe started my cooking with slow cookers. My twist is to 'cook' the chicken first for about a minute or two in onion and garlic before placing all of it in the cooker. I also put some 'patis' (fish sauce). Thanks! Hi Vanessa, great idea of sauteeing the chicken first. I should try that. Thanks for stopping by.